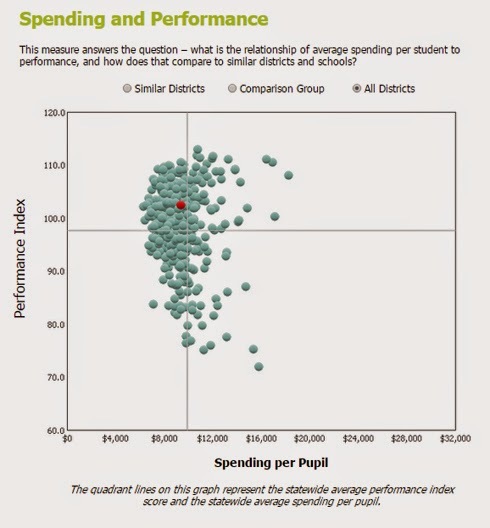 The New Richmond Exempted Village School District is getting a big bang for its buck when it comes to average spending per student to performance in the classroom according to the Ohio Department of Education. 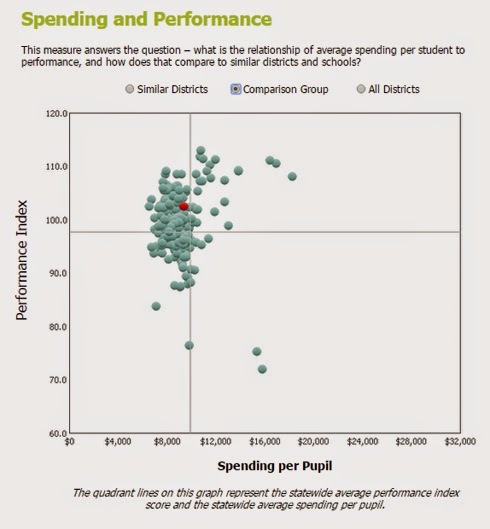 New Richmond ranks second out of 20 similar Ohio school districts with a performance index of 102.6 against a per pupil spending of $9350. 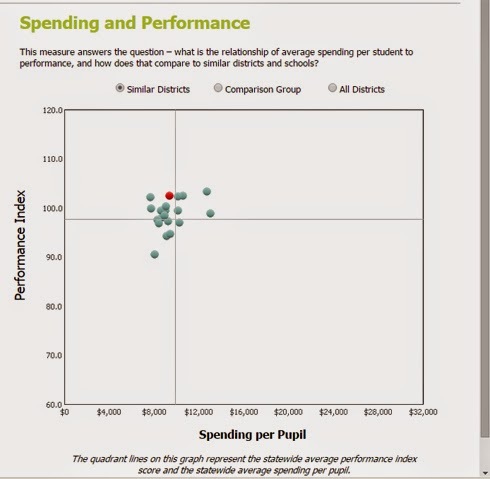 Perry Local leads the similar districts to New Richmond with a performance index of 103.4 but spends $3300 more per pupil ($12,687). "Our spending is in-line with similar districts and our students continue to perform at a high level," said NREVSD Supt. Adam Bird. The Performance Index measures the test results of every student, not just those who score proficient or higher. There are six levels on the index and districts receive points for every student in each of these levels. 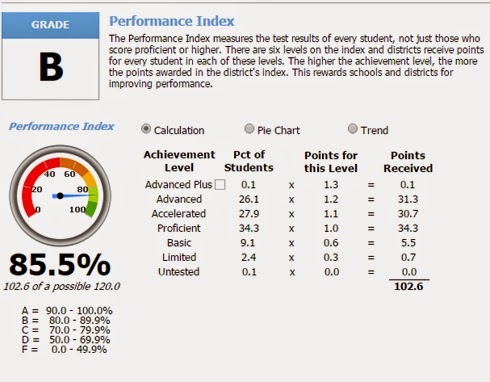 The higher the achievement level, the more the points awarded in the district's index. Each level receives a multiplier with 1.0 going for proficient, 1.1 for accelerated, 1.2 for advanced, 1.3 for advanced plus, .6 for basic and .3 for limited with a possible score of 120. New Richmond, which received an A on the state report card for meeting 23 of 24 testing indicators, received 34.3 points for students testing at the proficient level, 30.7 for students testing at an accelerated level and 31.3 for students testing at an advanced level. Only 9.1 percent of New Richmond students tested at a basic level for 5.5 points and 2.4 percent tested at a limited level for .7 points resulting in a state grade of B, which is considered an outstanding result for a district with a high percentage (42.6 for New Richmond) of students below the poverty level. "We are very thankful for the growth of our students and the hard work of our teachers," said Bird. 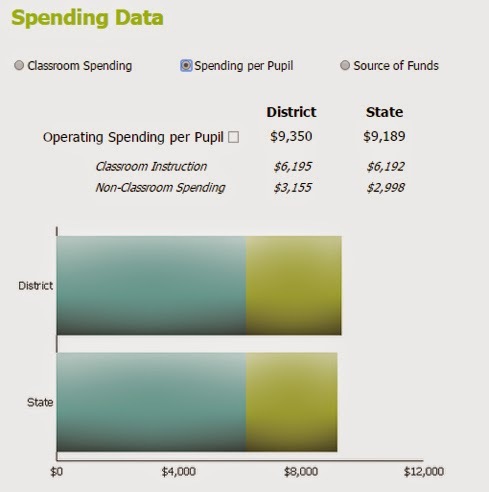 New Richmond’s spending of $9350 per student is just $161 more than the state average and is broken down into expenditures of $6195 for classroom instruction and $3155 for non-classroom spending (administrative, building operations and transportation expenses). New Richmond ranks 154th out of 279 districts of similar size for funds spent on classroom instruction. You can read the complete state report card for the New Richmond Exempted Village School district at the following link: http://reportcard.education.ohio.gov/Pages/District-Report.aspx?DistrictIRN=045559.